The sugarcane industry in India is the second in the world. However, several difficulties push the industry in a crisis that only becomes an opportunity for progress if we consider biomass for energy, another big problem in the country. A cyclical decline in sugar production is shifting India, the world’s second largest producer, from net exporter to net importer during 2009/10 (October/September) and contributing to the current runup in global sugar prices. The downturn in production is primarily due to a policy-induced cycle that has become increasingly pronounced. India is forecast to shift from net sugar exports of 5.8 million tons in 2007/08 to net imports of 2.8 million tons in 2008/09 and a record 6.0 million tons in 2009/10. Sugar production is poised to rebound in 2010/11, as higher government price supports and open-market prices are likely to stimulate plantings and improve incentives to deliver sugarcane to sugar mills. In the longer term, India has the capacity to boost sugarcane output, and the government and the sugar industry are considering policy measures to moderate the increasingly sharp cycles in sugar production and trade. The sugar crisis in Uttar Pradesh is a clear product of the politics of brinkmanship for vote bank considerations. Sugar mills have said they cannot pay the state-fixed minimum price to cane-growers and have suspended operation. The mills, which are struggling with losses and arrears to farmers, say they would rather shut down than buy sugarcane at a price that is unviable. The key to the whole imbroglio is the state-advised price (SAP) of sugarcane. Unfortunately, what ought to be purely administrative work has become a political decision. While farmers demand a high price for cane, the industry wants low price to make the mills viable. India may see a fifth consecutive year of excess of sugarcane production in 2014-15 as excess rainfall in the first half of the monsoon season is likely to ensure a bumper crop in the country. 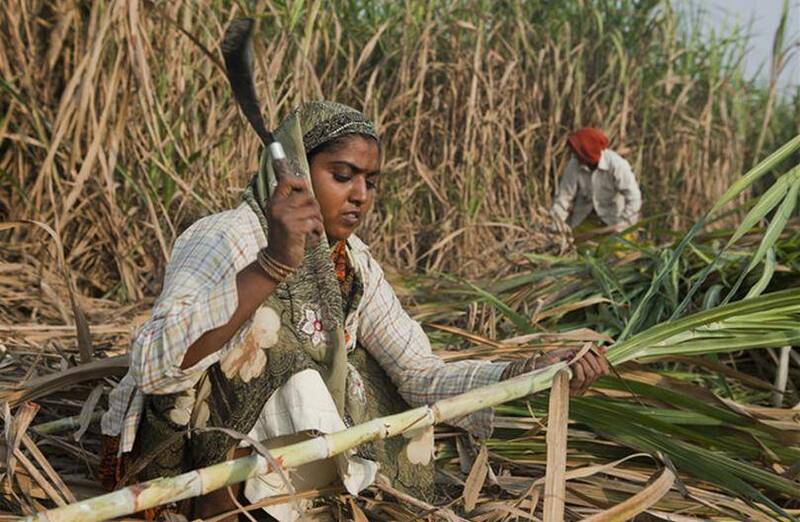 A great report on India sugarcane crisis can be also downloaded from here. 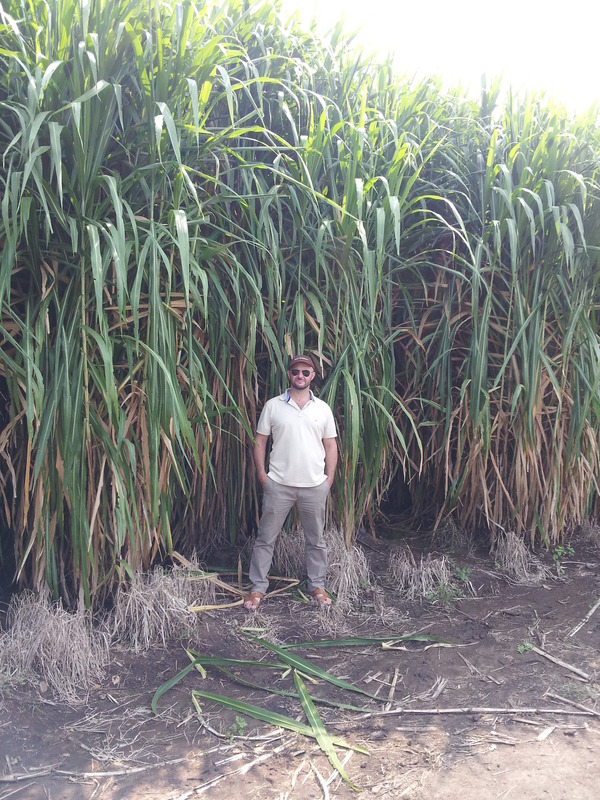 Energy crops cultivation in low competitive areas could help sugarcane framers to avoid monoculture, reduce diseases and pest dissemination and generate solid biomass for sugarcane mills to completement bagasse and produce energy by co-generation. Some interesting crops with existing knowledge are Napier grass, sorghums, energy cane and several short rotation coppice with potentials in warm climates. Napier grass has been produced in India in recent times with extraordinary yields. Bopgas producers can use it in combination with manure or agricultural residues to feed digesters. Biomass boilers can produce power using straw bales from field dried biomass. Agronomy and losgistics of Napier grass are key issues to maximize profits. Farmers require best varieties and management to optimize the bioenergy production and logistic chain and achieve lowest possible cost of derived feedstock. Indian sugarcane mills but also pulp companies could increase revenues introducing biomass projects and making trials to confirm yields and select best management practices in their regions. A better scenario is possible with more efficient bagasse use from improved sugarcane management, a higher biodiversity in farmlands, crop rotations, lower impacts from pests and weeds (decreasing sugarcane costs in many cases), a more efficient nutrient cycling and all combined with fossil fuels energy replacement producing renewable energy. Certainly, those are all advantages from introducing energy crops as a complement in sugarcane industry with biopower and bioheat. Most of the energy crop alternatives have a lifetime of 5-8 years except biomass sorghums, which can be used annually as a buffer in the supply chain to reduce biomass shortages and decide in few months to produce and supply more biomass to feed boilers, gasifiers or digesters. This scenario is already real in other countries of the world and can be easily introduced in India. Napier grass looks similar to Micanthus. Is it considered invasive? Napier grass is just one of the Pennisetum species and it can be considered invasive if grown on wetlands in tropical areas just as Arundo donax. If you grow it in a farm it is not going to be an invasive grass and it is quite easy to erradicate using one pass of round up. Hi, yes that’s what we do. Please send us an email with project description to info@bioenergycrops.com Thanks!